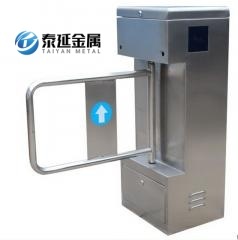 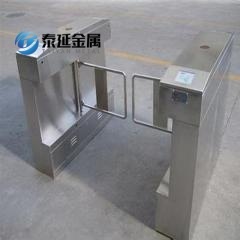 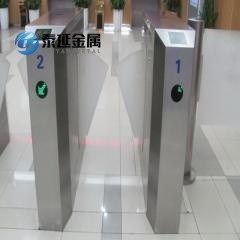 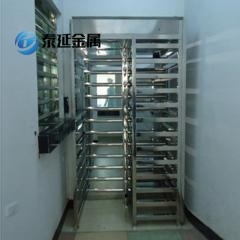 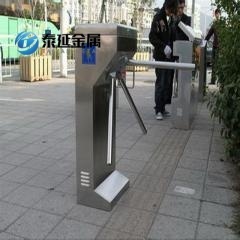 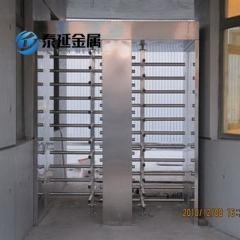 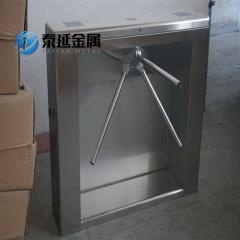 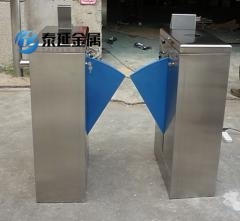 Cross Full Height Turnstile Covers ,Material: the entire product shape plate adopts 304 stainless steel plate, pipe using 202 stainless steel stamping molding, rust proof, sturdy and durable, the use of simple, no maintenance equipment. 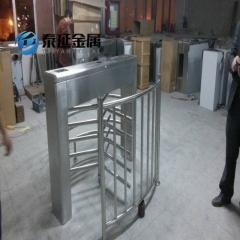 The standard dimensions: length of 1400 * 2210 * high 2300mm gate width, length: 600 (mm), weight: about 300KG. 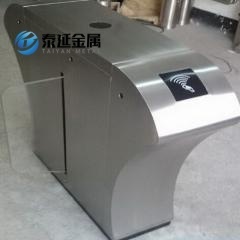 (can be customized) Brake lever steering: one-way, two-way (optional), working environment: indoor, outdoor). 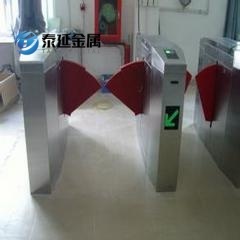 luxury wing Gate Bridge Specification: 1200*280*990MM (length * width * height) Color: the color of stainless steel Weight: 80KG Movement: single / dual core core wing gate according to the customer request OEM to the following products: ESD antistatic wing gate, face recognition wing gate, fingerprint, palmprint wing wing gate, gate, scanning wing gate, gate wing gate, barcode wing gate, LED gate, air shower door linkage wing gate, disinfection machine linkage wing gate, hand-held scanner wing gate, attendance machine linkage wing gate etc.. Bridge luxury wing gate is mainly applied in the subway train ticket gate charge, airport, station, dock, tourist attractions, playground, swimming pool office, supermarket shopping malls, cinemas, import and export, business clubs, banks, government agencies, schools, the picture gallery in exports, factory, construction site, dedicated disabled export etc..
Specification: 2450 * 1500 * 2300MM Material: 304 stainless steel / plastic Channel width: less than 600MM Reading and writing: IC card /ID card / card / bar code etc. 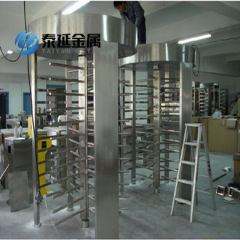 A, technical parameters 1), working voltage: AC220 ± 10%V, 50HZ 2), the working environment temperature: -15 ℃ - 75 ℃ 3), relative humidity: relative humidity below 90%, no condensation 4), the input interface: 12V level signal or pulse width > 100ms 12V > 10mA pulse signal, the driving current 5), the communication interface: RS485 appliance standards, Full high rotating gate can be customized according to customer requirements: ID card full height turnstiles, rotating gate IC card, bar code card turnstiles, fingerprint machine brake, face recognition to multiple recognition gate.